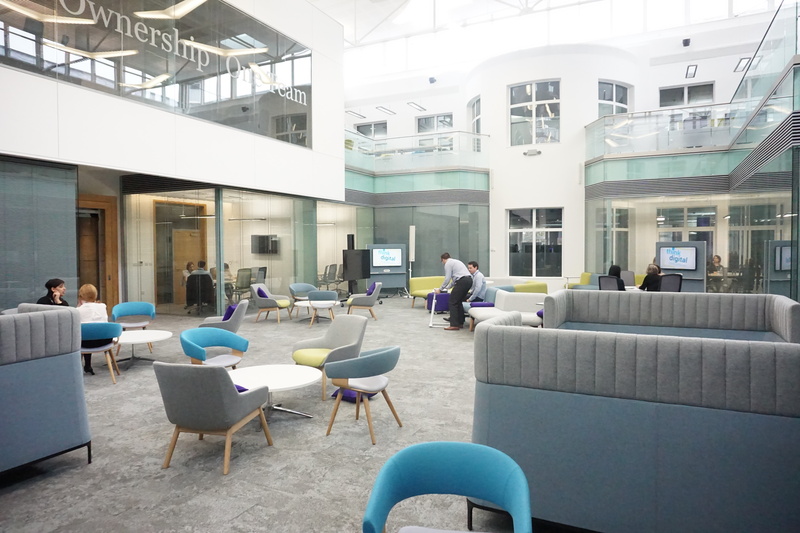 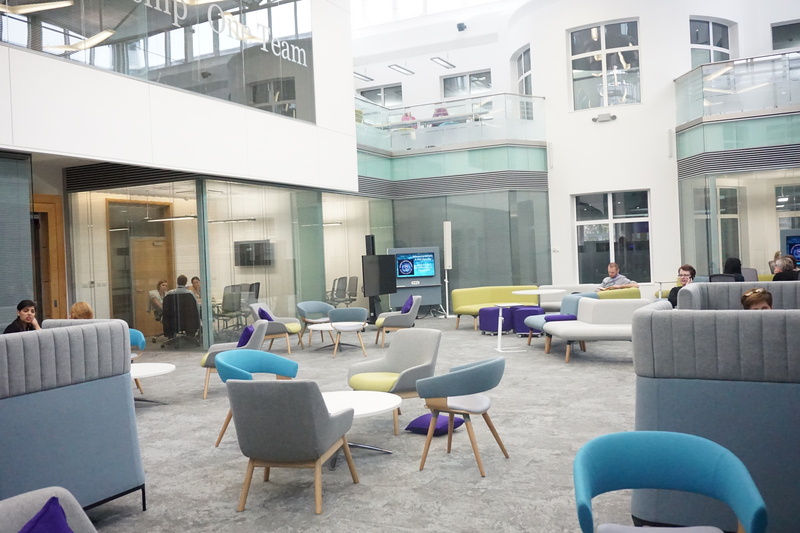 The building works comprised the internal formation of 13 Meeting Rooms, 4 Hot Desk/Breakout Zones and 6 Gallery Zones in and around an existing courtyard area, together with the refurbishment of existing ground and first floor main corridors, and ancillary areas. 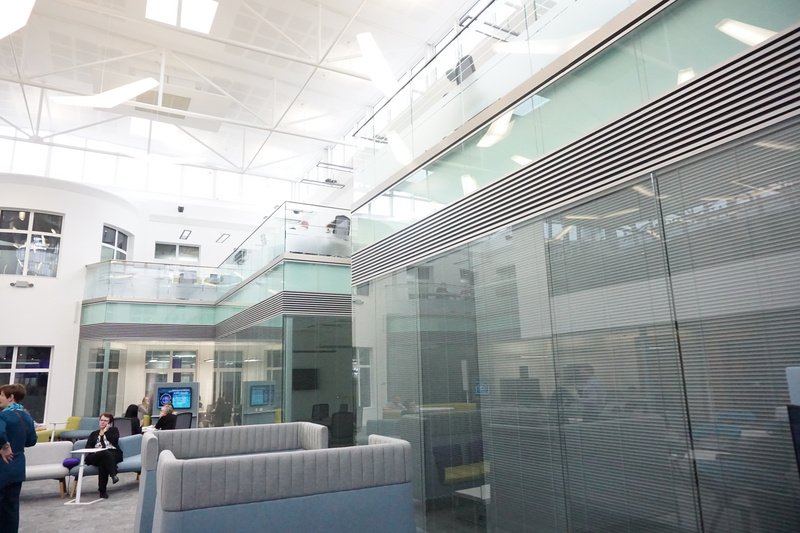 All works were carried out throughout the contract period in a live head office environment, with circa 2,000 staff occupying the existing premises. 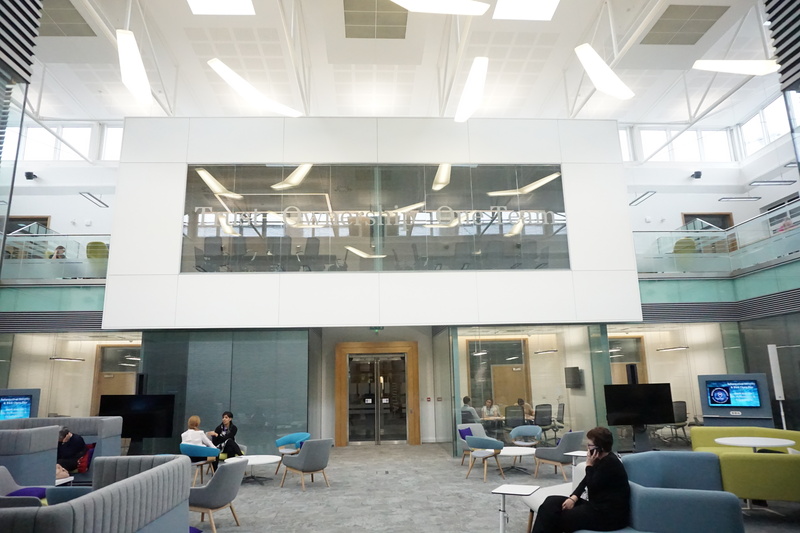 Weekly logistics and strategy meetings were held to establish safe working practices and designate controlled segregation zones, subsequently liaising weekly with the Client’s appointed person to agree mutually convenient working practices. 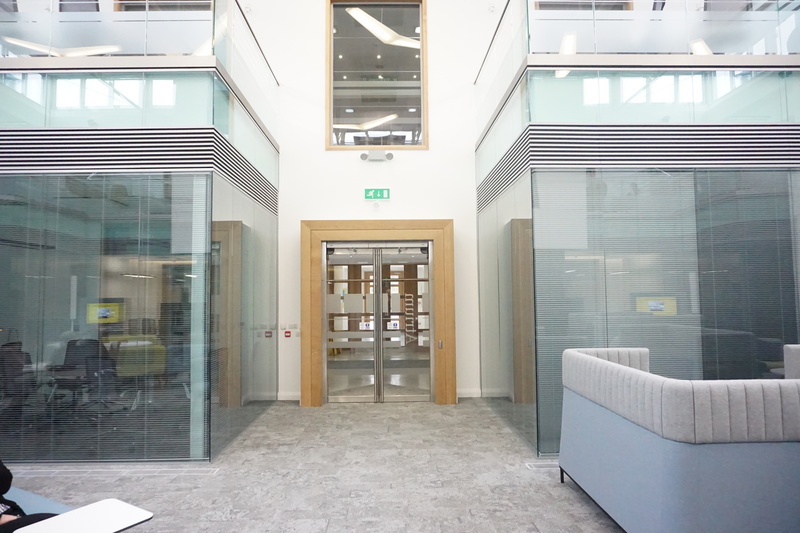 Works designed and constructed to a very high specification, including glazed partitions with electronic interstitial blinds, feature glazed dividing screens, feature wall screen, sound-proof finishes and detailing. 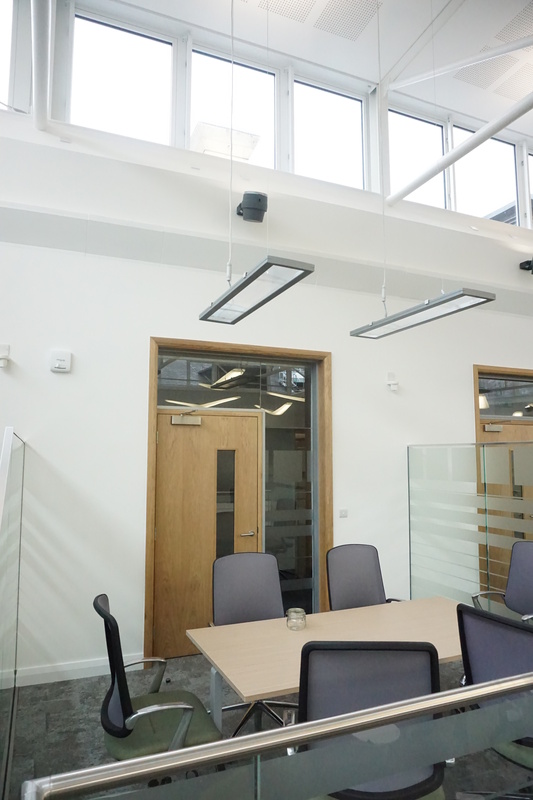 Numerous Contractor Designed Packages requiring intensive design co-ordination between respective specialist contractors and design team. 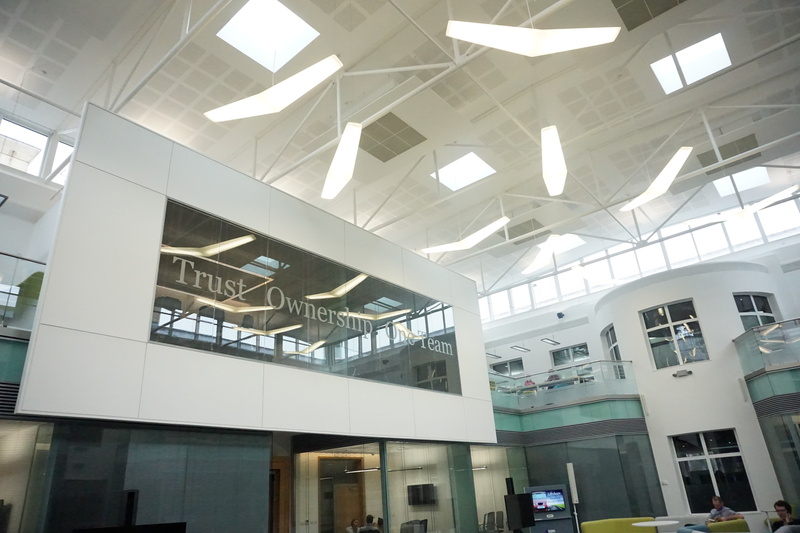 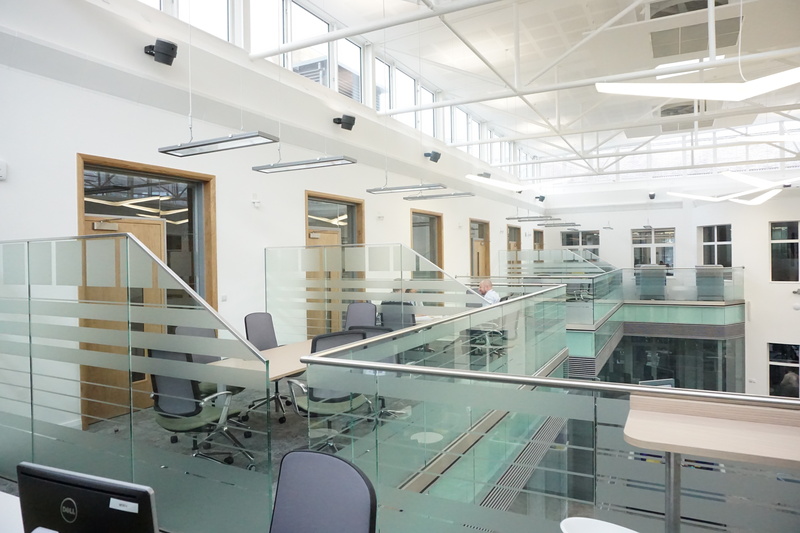 The electrical engineering works comprised new installation of integrated lighting, power and data/IT installations to new and existing areas, together with automated window/rooflight actuation and automated interstitial window blinds to glazed partitions. 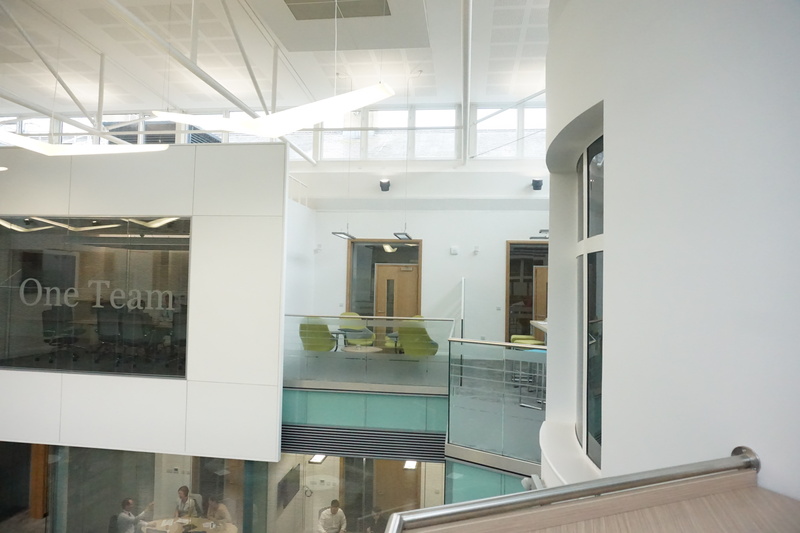 All installations managed through a new Building Management System, interfacing with the existing building management infrastructure. 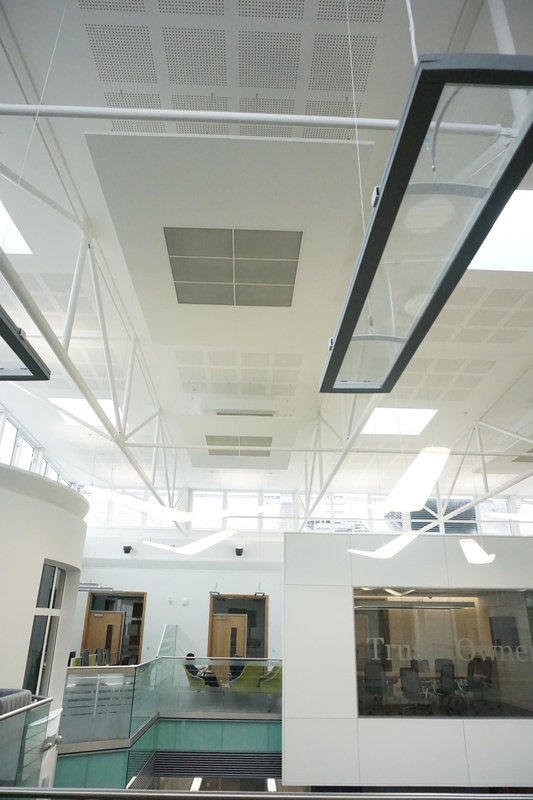 The mechanical engineering works comprised new external plant installations to feed new services and installation of integrated heating, ventilation, underfloor heating, air conditioning. 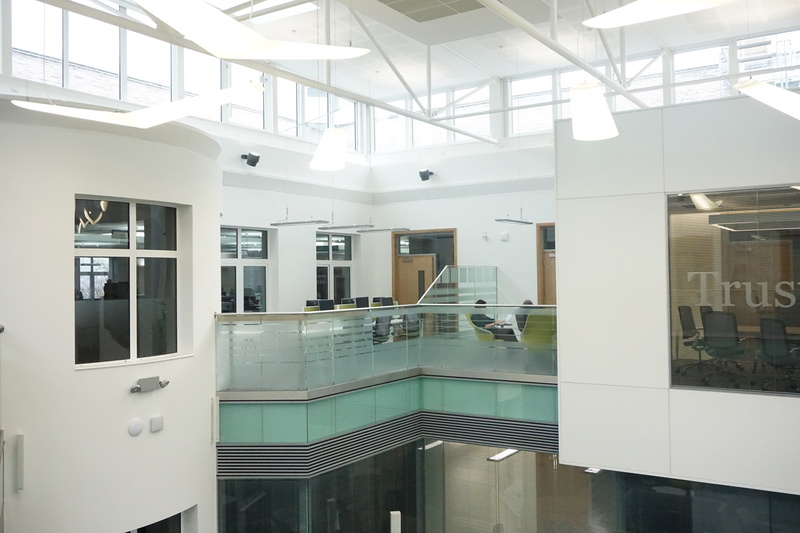 All installations managed through a new Building Management System, interfacing with the existing building management infrastructure.